Rules of the Jungle: Why do eagles eat meat? 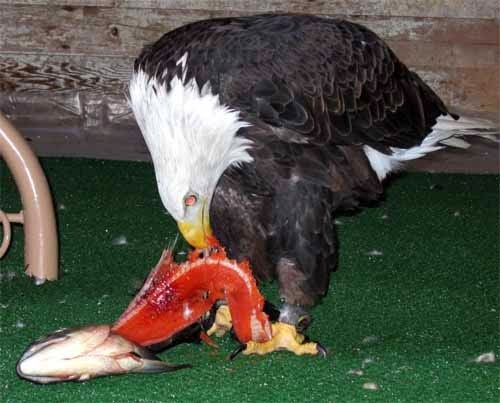 The eagles are carnivores, eating mainly fish. They prefer dead animals such as those hit by cars, or left by farmers to rotten. However, the eagle can easily catch rats, fish and other small mammals. The babies are fed with worms while they are in the nest. Sometimes, it is difficult for the mother eagle to take care of its babies, because those require a large quantity of meat every day, which can be provided only from worms and small fishes.